Our Pumpkin Pooch costume is soft and warm. Is your dog—or cat—a Very Important Pet? 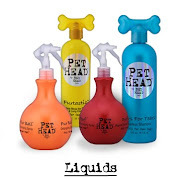 If so, sign up for the Posh Puppy Boutique’s email newsletter and learn about our special sales. 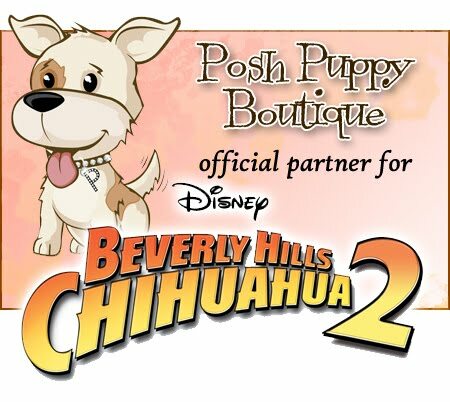 Simply go to our home page at www.poshpuppyboutique.com and enter your email address to receive our special alerts. For example, people receiving our newsletter were told of a special unadvertised sale on Halloween items in a message sent Oct. 9. Order by midnight (Pacific Time) Oct. 12 and take 25 percent off your entire order. Just enter the promo code “halloween” at checkout and treat yourself to some great savings. Check out some of our special Halloween Costumes and save 25 percent on your entire purchase. Our Pumpkin Pooch Costume ($25), for example, will have your dog looking like a soft plush jack-o-lantern, complete with matching cap. Sizes range from extra small to extra large. Dress your dog up in a very scary costume: as a black cat ($35) complete with pink ears and pink bows on the tail and chest. This one piece design has openings for a leash and ears. Sizes range from extra small to large. Our Superman Costume is great for super dogs. Is your dog faster than a speeding ball and able to jump tall food bowls in a single bound? If so, dress them in our Superman Dog Costume With Cape ($45). This complete polyester K-9 Superman Costume includes the classic chest piece and attached cape and belt. Let your dog be bright, colorful and the perfect witchy familiar by dressing her in our Pumpkin Witch Costume ($35). This purple costume is covered with a Halloween print and has an attached broom. A drawstring witch hat comes with the outfit. Sizes range from extra small to large. Make your dog stand out on a dark and scary Halloween night by dressing them in our black Glow Bones Dog Costume ($25). Complete with a matching hat, this machine-washable cotton costume includes a hat with ear holes. It has a stay-dry gentleman’s cut. Sizes range from extra small to medium. It also comes inpink designed with girls in mind. Our Black Spider Dog Costume ($43) is black with a shiny silver foil spider in the middle. Best of all, it features “glow in the dark” paint so your pet is visible to motorists and pedestrians alike. Sizes range from 0 to 6. This costume is scary and safe. These and hundreds of other dog (and cat) costumes are available at your one-stop shop for all things puppy: the Posh Puppy Boutique. Remember to enter the promo code “halloween” and save 25 percent between now and the witching hour on Oct. 12, 2012. Sacramento-area residents, swing by our retail store at 6040 Stanford Ranch Road, Rocklin and pick up free $5 discount coupons for this weekend’sSacramento Puppy Show at Cal-Expo.